Home news LETTER TO BUHARI: OBASANJO IS A LIVING SAINT, DETRACTORS, LET HIM BE! 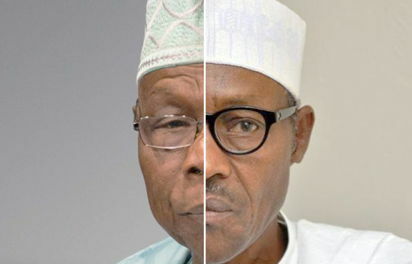 LETTER TO BUHARI: OBASANJO IS A LIVING SAINT, DETRACTORS, LET HIM BE! or otherwise, to occupy the revered seat of the President of Nigeria. What we should always understand and remember is that the highly cerebral octogenarian, said that whatever he posited in his very articulate Special Press Statement, was simply his personal opinion – his right, propelled by his burning and truthful desire to see a president who will truly revive the fortunes of our dear country. It is, therefore, infuriating as it is galling to see the heavy duty controversy that has trailed a gentle Baba’s well-intended prescription for the good of all Nigerians. This shameful and unfortunate outcry is disappointedly oozing out from almost all quarters including the academia, among technocrats and even the clergy, just like in the open marketplace. If we agree that the current political and economic setbacks in the country require people with extra courage and the spirit of savvy-negotiator, to rescue the Nigerian state, directly or indirectly, then let us recognise and imbibe the import of OBJ’s statements. We should also recognise the fact that Baba has seen it all – a retired Army General, former Head of State, former two-term civilian President, a consummate political master strategist, a lover of education, a former United Nations adviser, a Nigerian, African and world leader, a high-level board member of advisers on mediation across climes, former this, former that and, more significantly, a renowned authority of international repute, in political and state matters, among many other titles. It is OBJ’s inalienable right to express his desires and aspirations, just as he is entitled to articulate his displeasures and fears, anyhow he deems possible in so far as that liberty is exercised within the ambit of the law. That is why, I, together with several millions of Nigerians both at home and in the diaspora, judging from Chief Obasanjo’s pedigree and long-lasting experience, totally and unequivocally believe in what he is saying. After all, he wrote a similar letter to the immediate past President, Dr. Goodluck Jonathan and eyebrows were not raised, even as a fellow party man. Or, are they saying that the Otta chief does not have the freedom to say that the kite he used to fly no longer appeals to him and therefore seeks a change? This is a man with a pan-Nigerian spirit and who does not believe in ethnic mobilization. Few years ago, this same man, against ethnic sentiments and seemingly insurmountable odds, projected a Northerner and a Niger Deltan for president and vice president of Nigeria respectively. Fela Anikulapo Kuti described Nigerians as “suffering and smiling”. Nigerians must learn to be appreciative when high standard public relations is being freely offered. We must thank and continue to thank Baba Iyabo for being so outspoken on the path of truth. It is indeed honourable. And should ordinarily be encouraged. Long may he live, in sound health of body and mind. Gladly, already on the sands of time, he is a living saint.